We are the area’s best tanning salon with the newest and most tanning beds & booths in the area….all designed to give you the best & fastest tanning results possible. Plus, we are locally owned and operated! After just one visit you’ll discover for yourself why we are voted the area’s #1 tanning salon year after year. 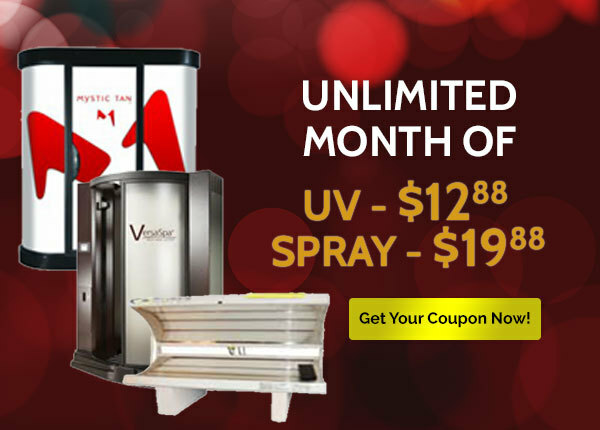 When it comes to indoor tanning, we offer you many levels of tanning beds and tanning booths, something for every tanning goal, budget and skin type. Our tanning beds range from super fast high pressure tanning beds and booths to 20 minute entry level beds. 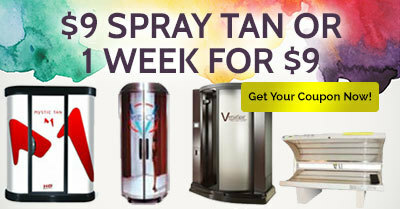 These state-of-the-art tanning beds & booths give you the absolute best tan you’ve ever imagined! Just because our tanning beds are the best in the industry and our salons are the most luxurious you’ve ever seen, don’t think for a minute that we’re expensive. We are the home of affordable luxury. Our monthly tanning memberships start at only $19.99 a month….. it’s the best tanning value around! After a visit to our salon you’ll discover for yourself what luxury tanning is all about. Large lobbies, super clean spacious tanning rooms, and the newest tanning beds & booths in the area. We also have UV-free sunless tanning in case you need quick color for a special event. The VersaSpa is the leading sunless booth in the entire world! Get a tan in only 60 seconds, darkens by the hour and lasts for days. Try a VersaSpa or Mystic HD sunless UV-free tan…you’ll love it! We also have a full line of tanning supplies and professional tanning lotions that will help you achieve a faster, longer lasting tan. We look forward to being YOUR tanning salon and giving you the look that gets the looks! Sign Up & Get $10 Off Your First Purchase!